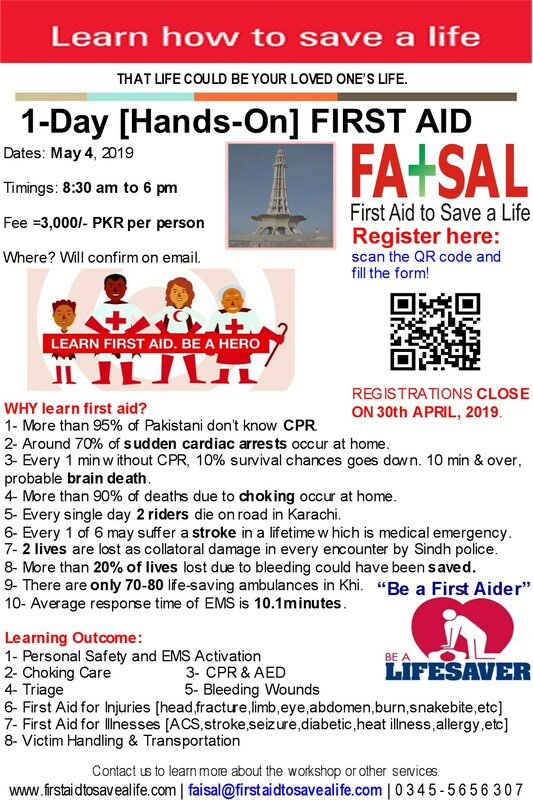 First Aid to Save a Life Pakistan is committed to adopt no smoking policy to contribute to the health and well-being of all employees. Smoking is prohibited in all of the enclosed areas where trainings are arranged. Training course participants must adhere to local arrangements by training venues to find smoking areas. I acknowledge receipt of and understanding of the First Aid to Save a Life Pakistan’s No Smoking Policy.